The iPhone camera is the most popular camera on the planet as of now, and it’s not just something that cannot be backed up by facts; Flickr statistics clearly support this notion. It makes sense, too – when the original iPhone was launched back in 2007, the image quality was far superior to the competition despite being a fixed-focus, measly 2 megapixel shooter. Now we’re close to the iPhone 6’s launch, and the current flagship, the iPhone 5s, has a camera that’s come a long way since. It produces really good images, and it’s always with you in your pocket, making it camera of choice. That being said, the iPhone camera is no professional shooter, and hence, despite being reasonable good in terms of quality, it’s really limited in terms of feature set. For instance, there’s no proper macro capability, and you can’t get really up and close with your subjects. There are lens appendages that you can get – like Olloclip – which will enhance what you can do with your phone, but that’s carrying an extra accessory and dishing out extra cash. 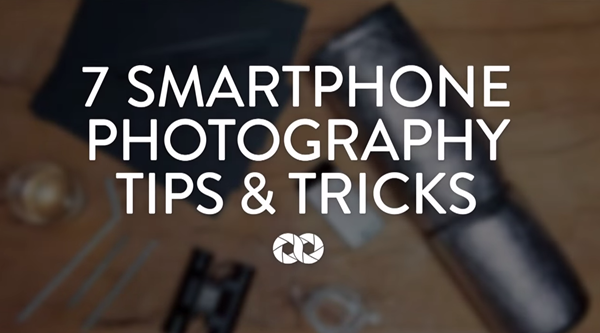 However, there are certain techniques that you can employ to perform some neat tricks with your simple iPhone camera. Photographer Lorenz Holder demonstrates seven quick tips in this video below. Some of these tips are pretty cool; for instance, you can use the Panorama mode on your iPhone to create a shot with the same object shown multiple times. Another tip that I liked a lot was using a water droplet to create amazing macro shots without spending a buck. The best part is, all these tips offer a practical application, and not just gimmicks that are cool to look at. This isn’t the first time that someone has come up with creative new tricks for the iPhone camera. A couple of months back, another compilation of 10 tips and tricks for iPhone photography surfaced which offered some unique ideas – which is linked below. Seeing as how popular the iPhone camera is, people have always been trying to improve its somewhat limited capabilities, and these unique ideas not only help us improve our casual photography, but also give ideas to app makers to implement some of these features from time to time.